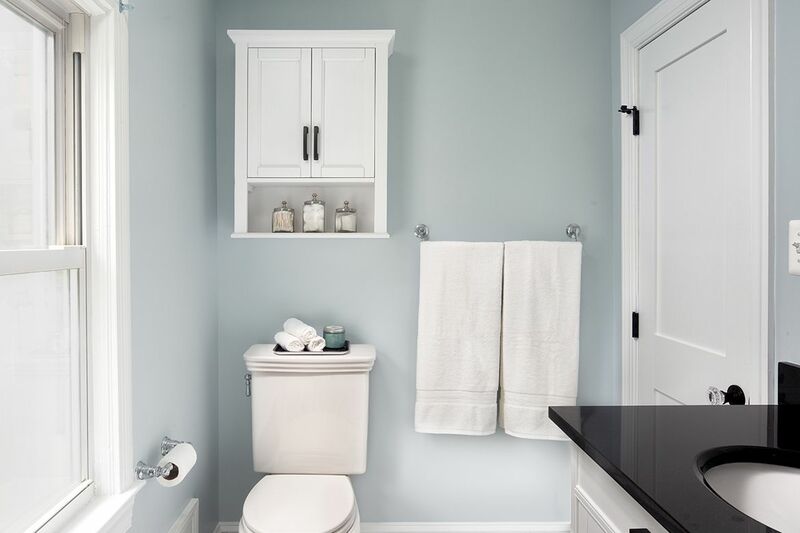 A charming Cape Cod in historic Herndon, Virginia had only a single bathroom upstairs shared among 3 bedrooms. 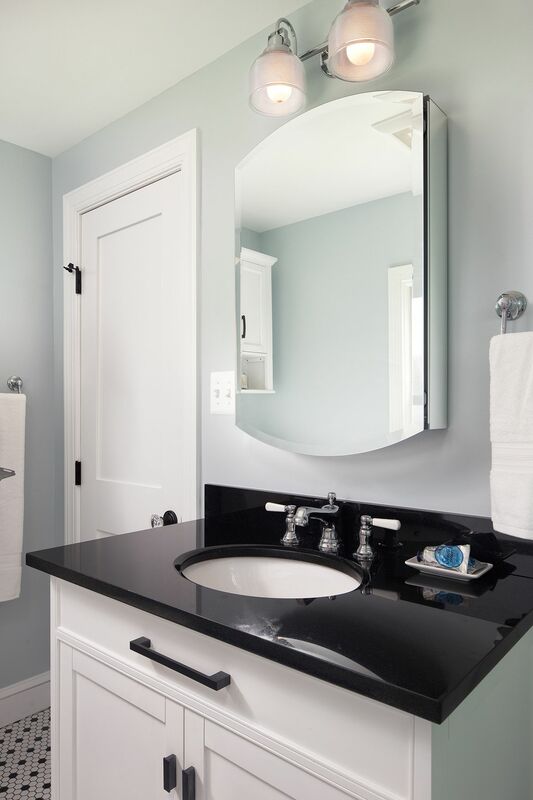 The client wanted to add a second bathroom without sacrificing a bedroom which presented several challenges. 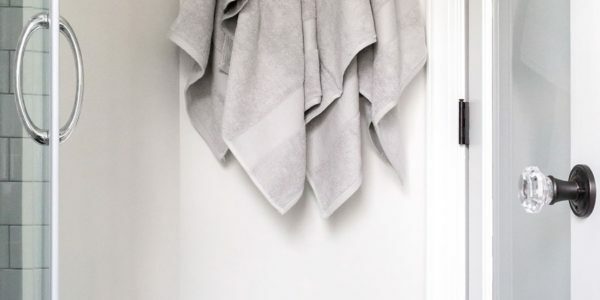 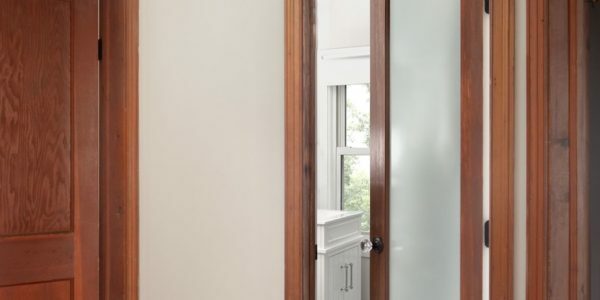 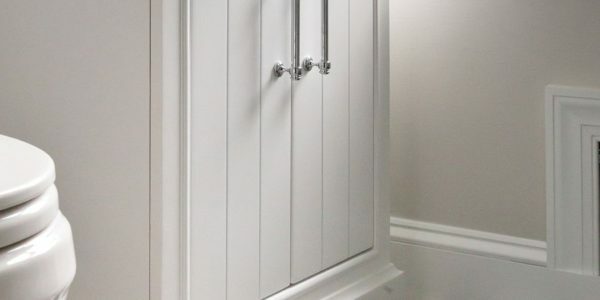 We were able to get the homeowner everything he wanted by reworking a bright nook at the top of the stairs, relocating doors and carving just enough space from the adjacent bedroom to achieve both an en-suite master bathroom and a brand new hall bathroom. 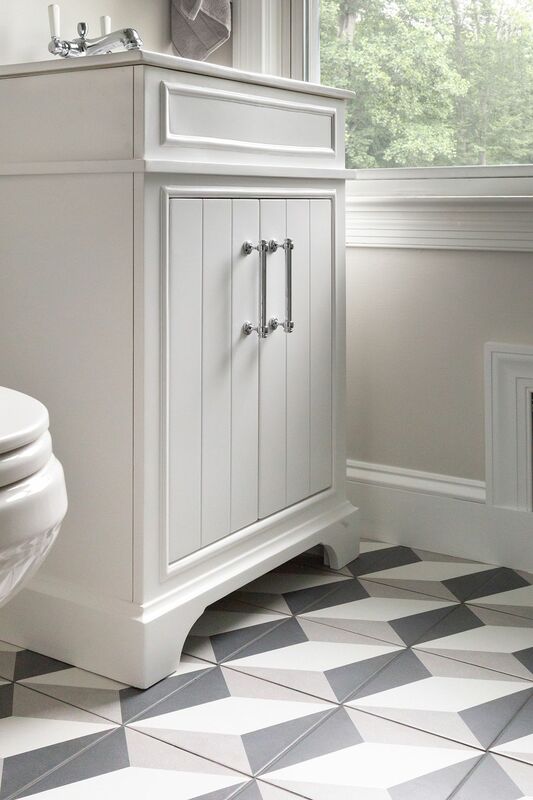 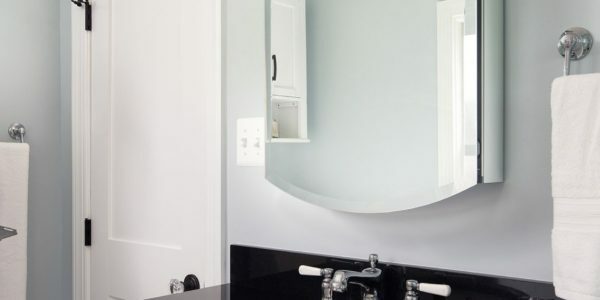 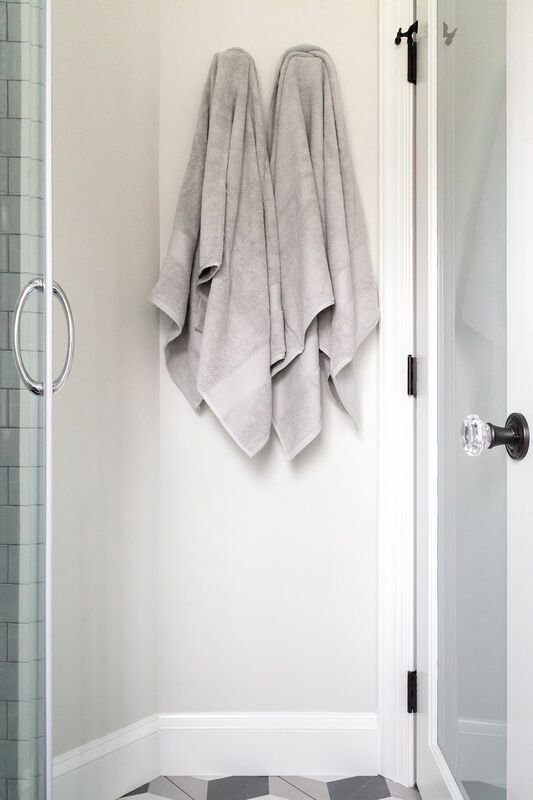 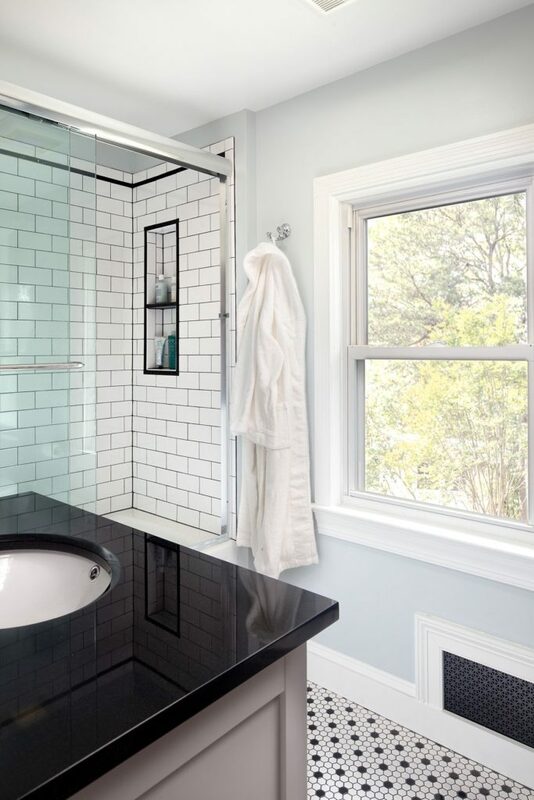 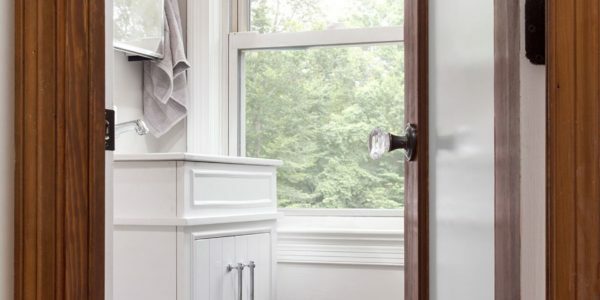 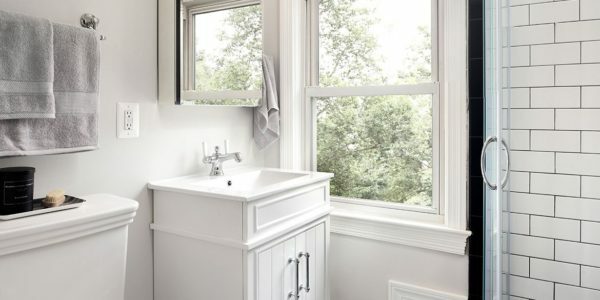 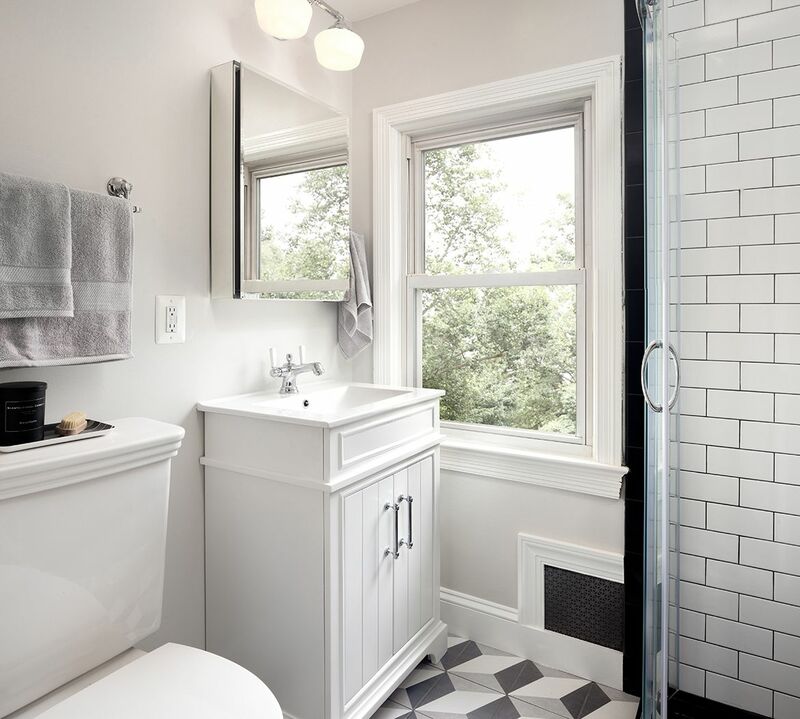 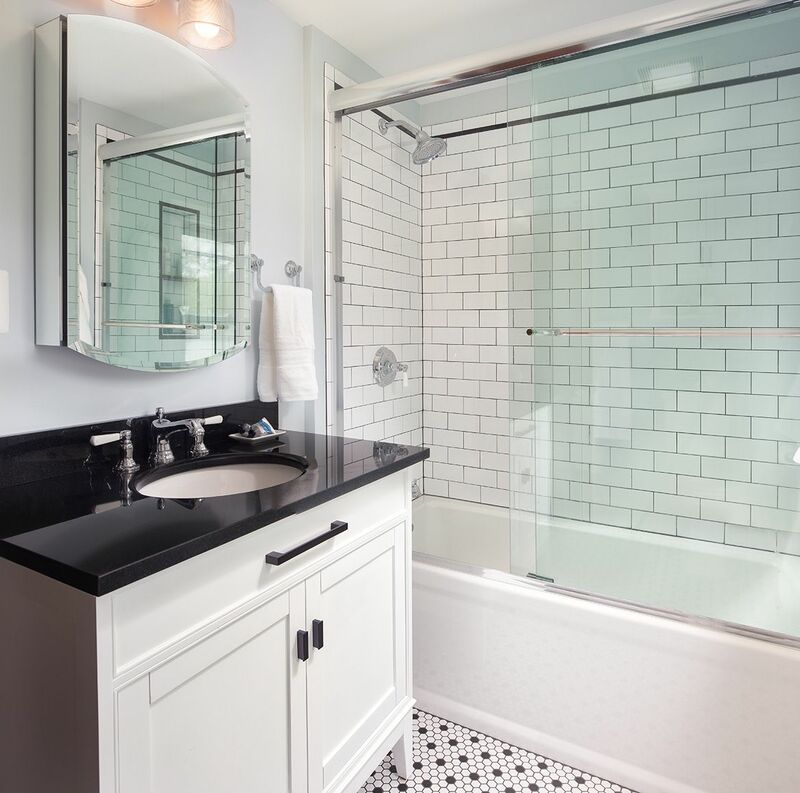 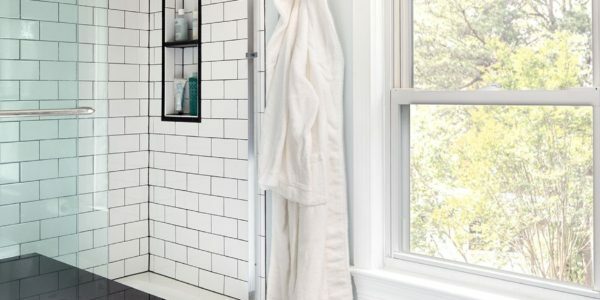 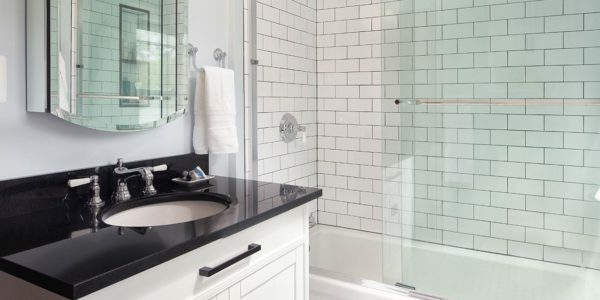 As a nod to the historic neighborhood, the homeowner wanted the master bathroom to have a vintage feel which was achieved using traditional black & white hexagon tiles on the floor and white subway tiles on the walls. 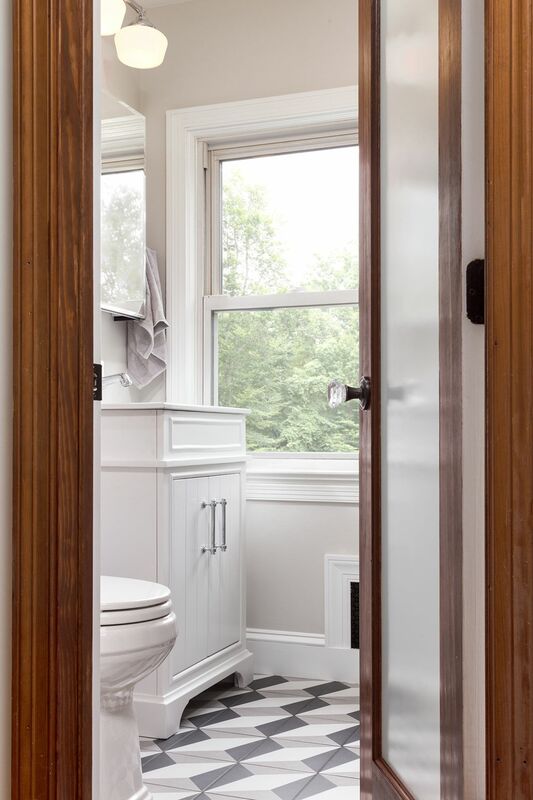 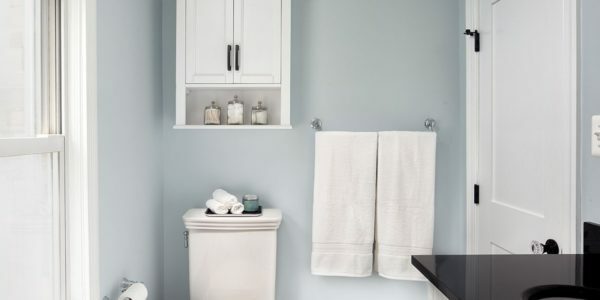 The porcelain handled plumbing fixtures and oil-rubbed bronze hardware provide additional nostalgic touches. 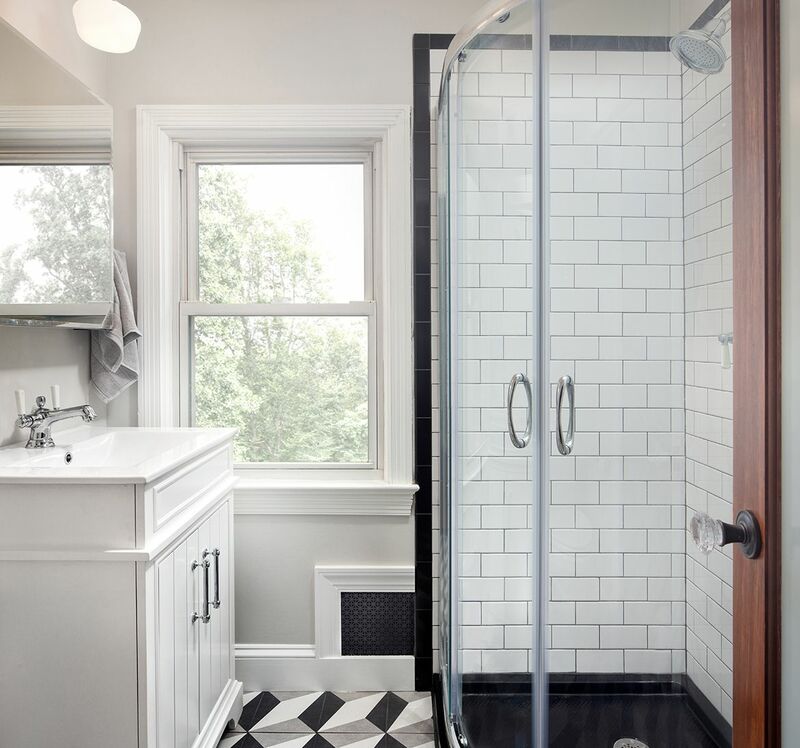 We extended the classic black and white scheme to the hall bathroom, but went with a bold black and white geometric floor tile to add a visual pop to the small space. 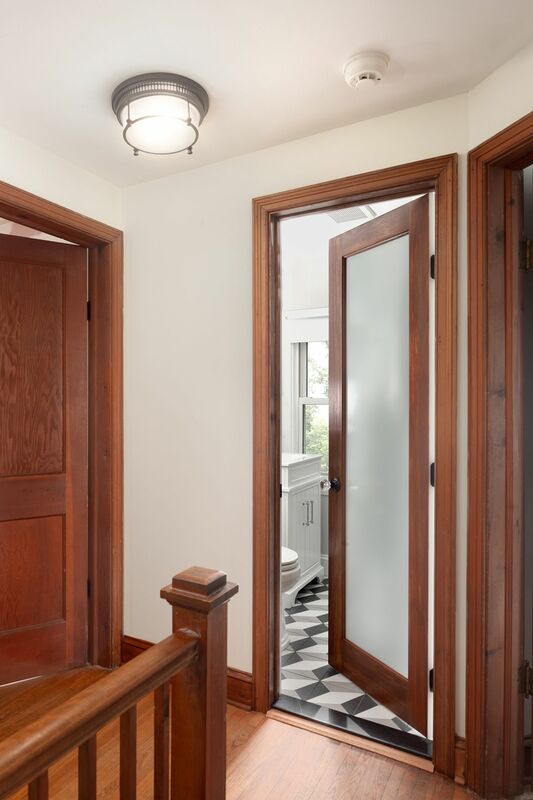 We used a door with privacy glass to allow natural light in at the top of the stairs; the crystal door knobs and other period inspired accents round out the design.